Festival in Brussels with Camille Babut du Mares, Marie Hallynck, Helene Desaint, Adrien Tyberghein, Eliane Reyes, Muhiddin Durruoglu, Bruno Coppens, Julie Mossay, and others. Conte musical "Comme une larme sur un sourire" de Pierre Solot avec Emmanuel De Candido, recitant. I will be speaking at the Academy Doctoral Research Symposium and Open Day which takes place from 1.30-6.00pm. We played the Schubert Rondo a few times already this season, and I'm happy to be playing it again with the Namur Chamber Orchestra in Rixensart on 24 November. Tchaikovsky Concerto is always a delight to play, and this time I'll be joined by the Bushey Symphony Orchestra and conductor George Vass on 20 November. Here are the details. ​This is the first of a series of three Mini Concerts in Tournai. More info here (in French). Our second day of Mini Concerts in Brussels is completely sold out, but you can email miniconcertsbelgium@gmail.com if you'd like to be put on the waiting list. Have a look at the Facebook page for Mini Concerts to see more dates. My trio colleague Romain and I have launched a new concert series designed specially for families. Our first Mini Concert in Brussels (at Holy Trinity Church) on 8 October was extremely popular and sold out well before the concert day. More dates will be announced soon! I'm delighted to be playing a recital with pianist Jeremy Young at the first edition of the USMF, the North-East's new celebration of classical music. Find details of the entire festival programme here. We worked with two brilliant film makers on this video of the Weinberg Tocatta. Romain, our cellist, found an amazing venue tucked away in small-town Belgium, and we had a very fun couple of days doing this. Trio Khnopff is recording the first half of our debut album this month at a wonderful concert hall/studio in the Ardennes countryside. We spent two days recording the Weinberg trio, which will be released on Pavane Records. "violinist Sadie Fields... plays with a richly nuanced tone of pure liquid gold." Trio Fernand Khnopff on tour! Find all the dates and venues on our website. 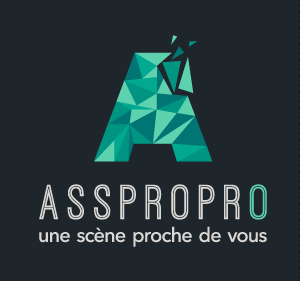 Tour organised by Asspropro Association. The Brahms Sonatas CD is now available. 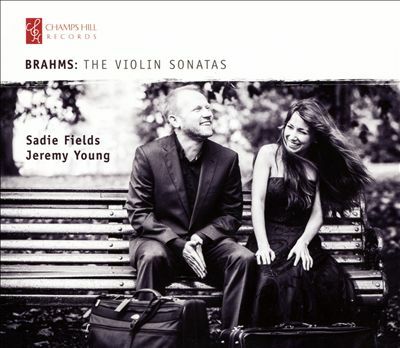 Pianist Jeremy Young and I had a wonderful time recording this last year for Champs Hill Records, and you can get your copy on Amazon or any of the other usual places. The long-awaited PhD defense was a success. After four years of work, I will be awarded my PhD from the Royal Academy of Music (University of London) at a ceremony in July. You can read more about my doctoral work here. Huge thanks to my PhD supervisor Dr. Neil Heyde, the external examiners, and the Royal Academy of Music team. ​This is the Grand Finale concert of Music Up Close's First World War season. I'll be collaborating with pianist Simon Callaghan and clarinetist Daniel Broncano in the Debussy Sonata and Stravinsky's 'Soldier's Tale'. This concert will also be repeated in Keele on the 19th of November.